Gorlin syndrome causes an increased risk of developing cancers of the skin and, rarely, in the brain. Around 1 in 30,000 people has the condition. Most people with Gorlin syndrome have a change in a gene called PTCH1, but the new research has revealed that changes in a gene called SUFU also cause Gorlin syndrome and it is children with a change in SUFU that are 20 times more likely to develop a brain tumour. 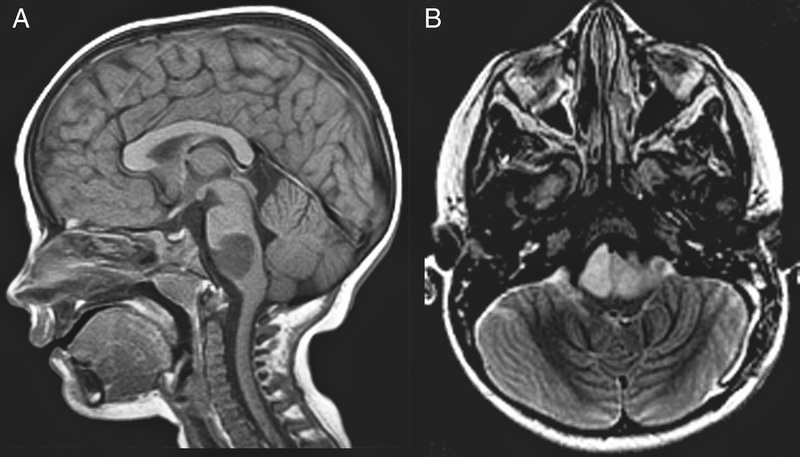 The researchers identified mutations in the SUFU gene as a cause of Gorlin syndrome in families with at least one person affected by a medulloblastoma. They compared the risk of developing a medulloblastoma for people with SUFU-related Gorlin syndrome to the risk for people with a PTCH1 mutation and found that those with the PTCH1 changes had around a 2% risk of developing the brain tumours, but in those with the SUFU changes it was around 33%. The findings, published in the Journal of Clinical Oncology, have major implications for the way children with Gorlin syndrome are treated and how frequently they require brain scans. Currently all children with Gorlin syndrome regardless of whether the changed gene is SUFU or PTCH1 are scanned once a year up to the age of eight.